Seamarine operates as NVOCC using their own containers between Indian sub continent / South East Asia / Gulf & Cis destinations. Ceonemar ensures safe and efficient movement of goods. We accept the responsibility of transporting from door-to-door. With advanced transport means and operations, as well as communications we are able to provide safe and efficient transport. Fiveknot Shipping Agency provides containers trade services has a fleet of 20' HD containers in addition to its stock of 20' & 40' Flat-Racks & Open-Tops. 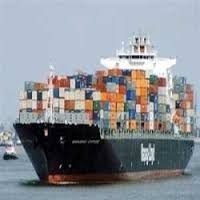 We provide Full and Less-Than HD container Load. Our aim is to provide comprehensive services to all of our customers with best competitive rates and shortest transit. Safety in sea is our prime concern, we’ve kept all NVOCC operations under TSPL brand which include offering large amount of owned containers. Backed by a strong local and international network, Allcargo NVOCC boasts of being one of the market leaders in the country. Equipped with highly trained professionals, the latest hi-tech processes and systems, we ensure the best quality of service and delivery of the promise. We are here to help your business grow. Backed by a strong local and international network, Allcargo NVOCC boasts of being one of the market leaders in the country. Equipped with highly trained professionals, the latest hi-tech processes and systems, we ensure the best quality of service and delivery of the promise. “NVOCC (Non vessel owner common carrier) a term commonly used to denote sea freight forwarding services without operating their own vessels. Admiral provide services to importers and exporters worldwide and also support them in total logistic solutions. We are representing Shipping Line Agents for Montana Shipping , Bhawani Shipping and Port Trade Shipping whose service are for GULF and Far East. In the world of service, it’s all about balance. You need an up-to-the-minute view of what your customers want. And you need to have all the processes and infrastructure in place to deliver it. Keeping up with either requires a disciplined approach – and the ability to shift direction at a moment’s notice. 34 offices spread over 4 regions. "NVOCC (Non vessel operator container carrier)" a term commonly used to denote sea freight forwarding services without operating their own vessels. Om Services provide services to importers and exporters worldwide and also support them in total logistic solutions. We are an accomplished NVOCC Operator Service with a large amount of storage space booked on bulk container carrying vessels. We have a huge capacity and ability to offer shipment space for any destinations very fast. Our rates are unput downable and accompanied by customary services provided by freight forwarders.